The UC Davis Graduate School of Management provides an innovative and collaborative environment centrally located within Northern California's innovation hub. Offering the resources of an internationally renowned university and the appeal of a true college town, the UC Davis MBA experience offers intimate access to world-class faculty, a wealth of activities, and a short drive to Silicon Valley. At the Graduate School of Management, you’ll find a vibrant, close-knit community where each student matters. Our career development team will work with you to pinpoint industries and companies where you want to work, and we will promote you directly to those employers. It’s almost like having your own talent broker. We have built strong, enduring relationships with a broad network of top corporations that know the quality of UC Davis MBAs. Each year we expand this group with new partnerships that reflect the emerging interests and talents of our students, as well as hot new companies and industries. The UC Davis MBA prepares you to be an innovative leader with global impact. Through our new IMPACT-anchored curriculum, you will build a broad foundation of basic knowledge and skills—and put them into action. Globalization, responsible business ethics and sustainability are integrated throughout the curriculum. The UC Davis Graduate School of Management provides an innovative and collaborative environment centrally located within Northern California's innovation hub. Offering the resources of an internationally renowned university and the appeal of a true college town, the UC Davis MBA experience offers intimate access to world-class faculty, a wealth of activities, and a short drive to Silicon Valley. At the Graduate School of Management, you’ll find a vibrant, close-knit community where each student matters. Our career development team will work with you to pinpoint industries and companies where you want to work, and we will promote you directly to those employers. It’s almost like having your own talent broker. The UC Davis MBA prepares you to be an innovative leader with global impact. Through our new IMPACT-anchored curriculum, you will build a broad foundation of basic knowledge and skills—and put them into action. Globalization, responsible business ethics and sustainability are integrated throughout the curriculum. Admissions Officers for the full-time MBA program at UC Davis consider the following factors in assessing candidates: academic potential, professional potential, and personal qualities. Full-time work experience is not required for admission, but most students have at least a few years of work experience. Applicants must submit the following materi...Admissions Officers for the full-time MBA program at UC Davis consider the following factors in assessing candidates: academic potential, professional potential, and personal qualities. Full-time work experience is not required for admission, but most students have at least a few years of work experience. Applicants must submit the following materials: a completed application form (online or hard copy); a current resume; a list of outside activities and honors; three short personal essays; official transcripts from each undergraduate and graduate institution attended; two letters of recommendation; and an official GMAT score report. Applicants whose native language is not English must submit an official TOEFL score report or IELTS reflecting a score no more than two years old. Applications to the full-time program are accepted for the fall semester only. Students report that Davis’ cozy size is a drawback when it comes to job-hunting season. “Even though our small size is one of our greatest strengths, it also hinders us from mak­ing an impact with recruiters,” a student warns. A “tightly knit alumni network” helps ease the pain a bit. Although that alumni network is relatively small, its members are committed to helping fellow alums find their place in the business worldEmployers that most frequently hire Davis MBAs include: CalPERS; Blue Shield; Wells Fargo; CalSTRS; Hewlett Packard Company; Agilent Technologies; Intel Corporation; Kaiser Permanente; AT&T; Brocade; Elite Capitol; Ernst & Young; KPMG; PricewaterhouseCoopers; Rabobank International; Deloitte, LLP; and PG&E. Approximately 26% of the class of 2010 found work in consulting (median starting salary $95,000); 24% took jobs in finance/accounting ($92,070); and about 15% entered general management. Most graduates remain in the area; two in five find work in San Francisco or the surrounding Bay Area, one in five finds a job in the greater Sacramento region, and the rest are split between Silicon Valley and destinations farther afield. The UC Davis Graduate School of Management has accomplished what many in academic circles felt was impossible for such a small and young MBA Program; it is being ranked among the top 50 in the nation. Conceived just over 20 years ago, the program is recognized for the high quality of its graduates, its world-class faculty, and the excellence of its overall program. The program is comprised of 24 classes (72 quarter units). Joint degrees are available in law (MBA/JD), engineering (MBA/MEng), medicine (MBA/MD), and agricultural management (MBA/MS). All students spend their first year in “core” classes mastering the curriculum, which provides a common foundation of fundamental management knowledge and skill. Elective concentrations available in the full-time day program or in the evening MBA Program for Working Professionals are accounting, corporate environmental management, e-commerce, environmental and natural resource management, finance, health services management, information technology, international management, marketing, not-for-profit management, technology management, and general management. Students can also design a customized concentration. As more students of diverse interests and backgrounds engage in MBA education, UC Davis is striving to expand the opportunities for students to study abroad. UC Davis has established student exchange programs with eleven renowned international universities. Students can also take advantage of a “one-way” exchange with a number of other universities abroad. Established student exchange programs include Hong Kong University of Science and Technology; Instituto Tenologico Antonomo de Mexico (ITAM); Pontifica Universidad Catolica de Chile in Santiago, Chile; Erasmus University in Rotterdam, Holland; Heinrich Heine Universitat Dusseldorf, Germany; Fundacao Getulio Vargas in Sao Paulo, Brazil; Helsinki School of Economics and Business Administration in Helsinki, Finland; Groupe HEC, Institut Superieur des Affaires (ISA), France; Manchester Business School, England; Australian Graduate School of Management (AGSM); and Jonkoping International Business School (JIBS) in Sweden. To enhance preparation for the job market, the School requires students to participate in a videotaped mock interview with one of several executives drawn from both the public and private sector. This program gives students a unique chance to meet top executives face to face as well as to dramatically improve interviewing skills. The annual Alumni Day gives current students the “inside track” on up-to-date industry information and career opportunities from alumni and also provides a valuable networking activity. The School encourages prospective students to take advantage of the Visitation Program. While visiting the School, prospective students are able to talk one on one with current students and professors and can attend a class. To enhance each student’s learning and networking experience, the School has developed close ties with leaders throughout business and government. They are frequent visitors to campus, serving as guest lecturers in classes, as interviewers in the mock interview program, and as speakers at frequent School-sponsored events. Through these important contacts, students gain access to high-profile companies and establish relationships with potential employers. The Executive-in-Residence program gives students and faculty members alike a unique opportunity to work closely with a top business leader during the executive’s quarter-long visit to the School. Mexico, Holland, Germany, Finland, France, UK, Chile, Brazil, China and Sweden, British Columbia. Want more info about University of California - Davis Graduate School of Management Full Time MBA? Get free advice from education experts and Noodle community members. 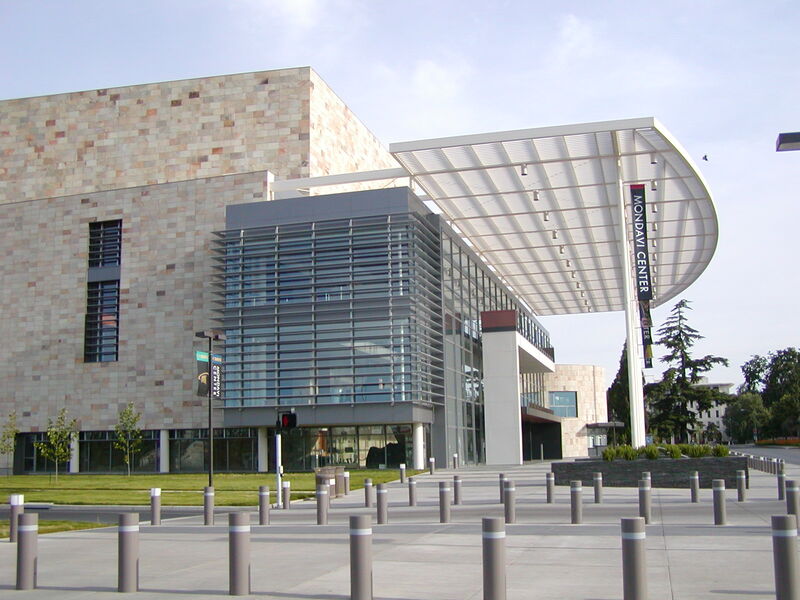 Is the full-time MBA program at UC Davis a highly ranked program?